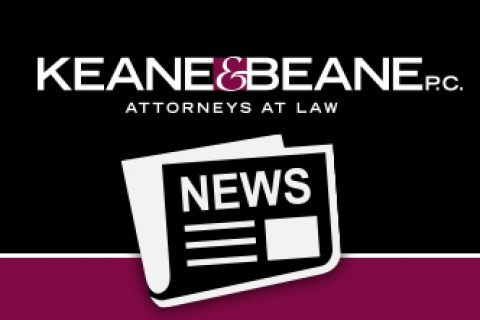 Keane & Beane, P.C. advises clients on all aspects of elder law, long-term healthcare considerations and insurance, asset preservation strategies and Medicaid qualification. Preparing wills and trusts to maximize asset protection and secure future Medicaid eligibility. Advising on supplemental needs trusts for the disabled, and on reverse mortgages. Counseling families to protect the inheritance of a family member with a disability. Our elder law attorneys are well known for their contributions to the field, taking leadership roles in legal associations and not-for-profit organizations and frequently speaking on elder law. Our attorneys are frequent contributors to the New York State Bar Association’s “Elder Law Attorney” and are active in lobbying the State Legislature on behalf of the elderly and disabled, as well as have authored many periodicals regarding estate and financial planning, health care planning and elder abuse. Steven Schurkman is the author of “Elder Law Q&A: Answers to Questions About Estate and Financial Planning, Health Care Planning and Elder Abusehttp://www.kblaw.com/wp-content/uploads/2018/09/Elder-Law-QA-2018-ONLINE-Ed19-FINAL.pdf”, written under a grant from New York State Division of Criminal Justice Services – and now in its 18th edition, which is widely disseminated throughout the state. Our multi-faceted Elder Law practice provides clients with the most sophisticated asset preservation strategies, litigates guardianship matters and works with families on day-to-day issues such as hospital discharge and nursing care admission. We draw on resources from related practices within the firm including Trusts & Estates and Real Estate Law. Our professionals are deeply involved in all aspects of elder law and care issues throughout the Hudson Valley and the greater New York City Metropolitan area.